In January 2019 Kyivpost, Ukraine’s famous English-language newspaper, published a report with the most recent data on the growth of Ukraine’s IT sector. According to the report, IT service exports became the 2nd largest export industry in 2018. In 2015 Ukrainian IT exports made $2,6 billion, this number increased to $4.5 billion in 2018, showing a 20% year-over-year growth. According to UNIT.City, Ukrainian exports of IT services are expected to reach $5.4 billion in 2020 and $8.4 billion in 2025. In 2009, the number of software development companies was 940 that number grew to 1050 in 2011. As of now, the number of companies ranges between 1391 and 1650. According to the CEE Software Development Report 2019 presented by AVentures, Aventis Capital and Capital Times, 50% of companies are young, with 5-10 years of operation experience, and 33% are 10-15 years old. 18 Ukrainian companies have already entered the Global Outsourcing- top 100 ranking. The main revenues of Ukrainian IT companies come from software/hi-tech vertical (73%). The future growth of the IT market in Ukraine, according to the CEE Report 2019, will be determined by a strong focus on a particular industry or technology domain. 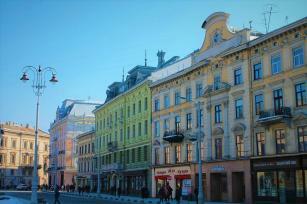 How Many Software Developers are in Ukraine? 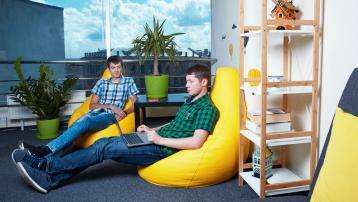 Ukrainian freelance engineers take 7th place globally based on high-performance, quality and efficiency. The figures above demonstrate the growth and development of Ukraine as a tech destination with Microsoft, Wargaming, ABBYY, Samsung, Huawei, Siemens and other tech giants having their development centers in Ukraine. First, decide: What cooperation model are you planning to work with? Within the project outsourcing model, you execute the entire project to the outsourcing company, which takes responsibility for all aspects of the software development: assembling the right people, team management, quality control, etc. By utilizing the extended team model, you are building or expanding your own software development team, rather than substituting it. At Daxx, we decided to operate according to this model (it is also referred to as outstaffing or team augmentation). This approach combines the positive aspect of classical outsourcing and opening your own offshore software (R&D) centers, yet discarding the negative aspects, such as lack of control and administrative or legal hassles. Do you have a security manager? What security measures do you use to ensure that sensitive data is protected? How do you ensure GDPR compliance? Do you have an established process to deal with security breaches? It’s not the first thing to check, but to get the evidence of a good reputation, check if the company enters Clutch, Goodfirms ratings or has reliable competency certificates. Remember, if the quality isn’t there, outsourcing is not a good option. How fast is the company able to find the required staff? What is their position on the market? How big is the database of potential candidates? Does the company provide the specializations and services listed on their website? What administrative and value-added services do they additionally provide? Why should you choose them as a software development partner? Whether they have established business operations? Have a transparent financial system in order to understand what you are paying for. Do they demonstrate company growth? Can they provide references working with companies like yours? With 20 years of experience, Daxx understands all the needs of the customers and offers transparency, flexibility, and cost efficiency. We work with companies from many industries, including fintech, travel, telecommunications, e-commerce, health, and education. Choosing the right location is one of the main challenges businesses face when making outsourcing decisions. This decision influences variable costs, skills availability, market potential, IT environment, etc. Despite the fact that IT companies are present in all regions of Ukraine, according to CEE Software Development Report 2019, the main tech hubs are Kyiv, Kharkiv, Lviv, Odesa and Dnipro. Why Choose Daxx as an Outsourcing Software Development Partner? With access to 185,000 web and mobile developers from our database, our recruitment team will find the candidates with the required experience and tech skills within approximately 5-6 weeks. Our information security manager implements effective technical and organizational measures to improve the security and reliability of our services and restrict access to sensitive data. Daxx experienced Human Resources Specialists, Client Managers, and Service Delivery Directors ensure that everything goes smoothly throughout each stage of the development life cycle as well as share expert advice on the best remote team management practices.